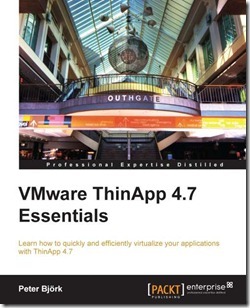 VMware ThinApp 4.7 Essentials is a new book written by Peter Björk about VMware ThinApp. VMware ThinApp 4.7 is an application virtualization solution which allows its admins to package Windows applications so that they are portable. "VMware ThinApp 4.7 Essentials" shows you how to create and deploy ThinApp packages in order to improve the portability, manageability, and compatibility of applications by encapsulating them from the underlying operating system on which they are executed. ThinApp 4.7 Essentials is practical book that explains the hole process from building, deploying, updating and tweaking and troubleshooting ThinApp packages. The “ThinApp 4.7 Essentials” book is a must read for everyone who want or already works with ThinApp and want to extend there knowlegde on it! 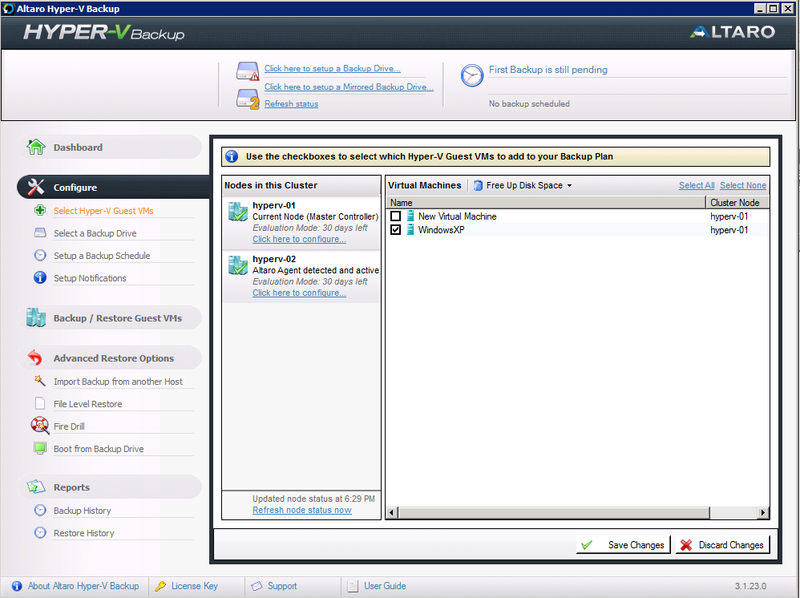 PHD Virtual Backup is a backup and recovery solution for VMware and Citrix environments. PHD Virtual Backup version 6 is released. We tested this new version with VMware vSphere. PHD Instant Recovery: Instant Recovery lets you access your backed up data right away. The VM(s) will be powered on directly from the backup storage. Instant Recovery can be used for verifying backups or when needed mission critical data immediately. Application Aware Backups: PHDVB v6.0 provides the ability to take application aware backups for any application. Application aware backups include the ability to properly quiesce the application prior to backup, as well as perform any post-backup processes, such as automated log management (truncate, shrink, etc.). This is done by leveraging a very small guest application called the PHD Guest Tools. 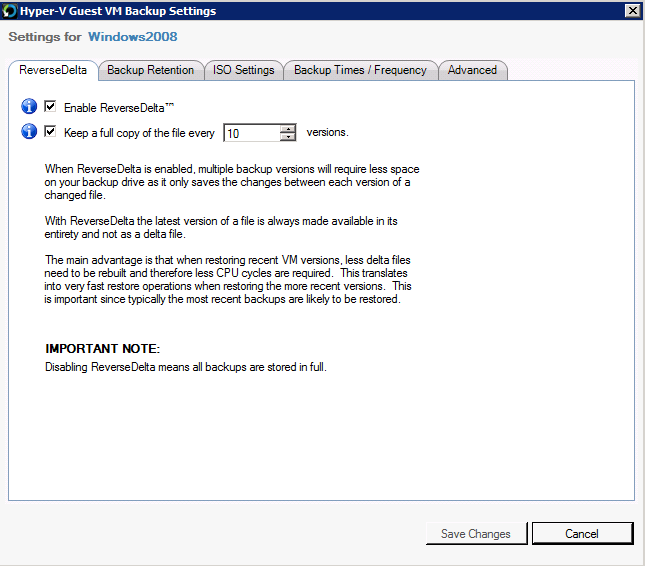 Full and incremental backup mode: Prior to v6.0, PHDVB provides a single backup mode called the virtual full. 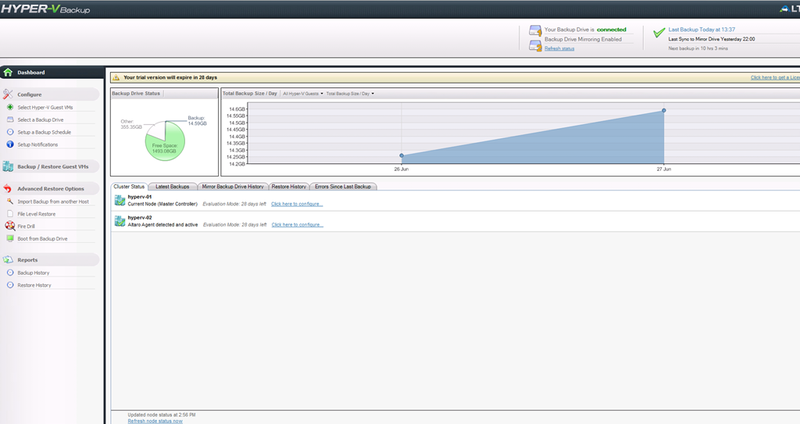 Virtual Full backups include source-side deduplication across all backups within a backup target. They are very efficient for storage utilization and backup and restore speeds. There are certain configurations that are not optimized to handle the many files that the virtual full leverages. Therefore, PHD is implementing a traditional full / incremental backup mode for those configurations such as using a CIFS share or deduplicating hardware appliance as the backup target or using 3rd party tools to copy full and incremental files off-site or to tape. Encryption: Those requiring strict requirements for backup data security can now choose to enable one of many types of industry standard encryption levels for PHD Virtual Backups. When enabled, data will be encrypted at the file system level of the VBA to ensure that it is secure in transit to the backup target and at rest when it reaches the backup target. Enhanced File Level Recovery (FLR): In PHDVB v6.0, users will now be able to select an option to use CIFS for FLR, whereby the backup will be mounted to the VBA and presented out as a CIFS share. This allows the admin to share backup data so that other users can recover files or application items. For additional flexibility, you can also choose or ability to present backups out as an iSCSI target from the VBA so that other machines can mount the backup as a local disk. In my LAB environment I tested Altaro Hyper-V Backup version 3. 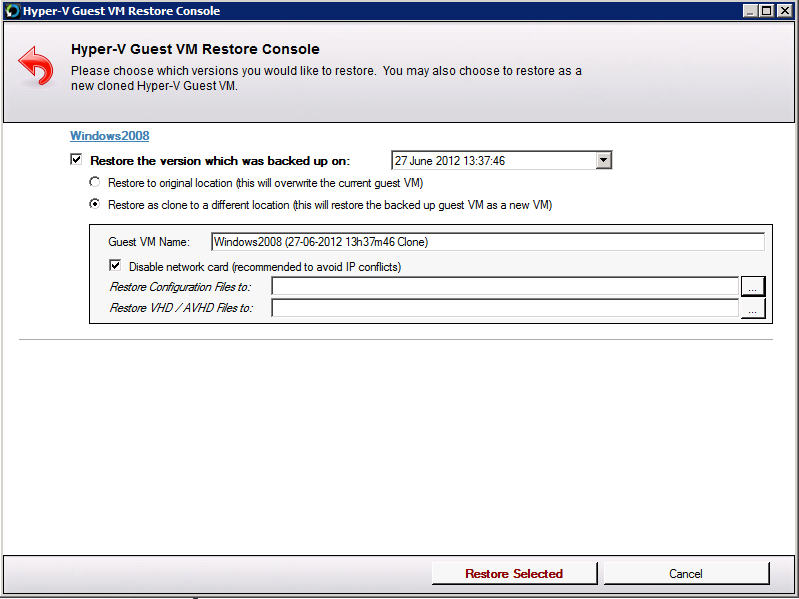 Altaro Hyper-V Backup is software that makes it possible to backup and restore Windows 2008 (R2) Hyper-V VMs. There are three editions available: The free edition, the standard edition and the unlimited edition. For this test I used the unlimited edition because it supports “Cluster Shared Volumes (CSVs)”. More info can be found here. 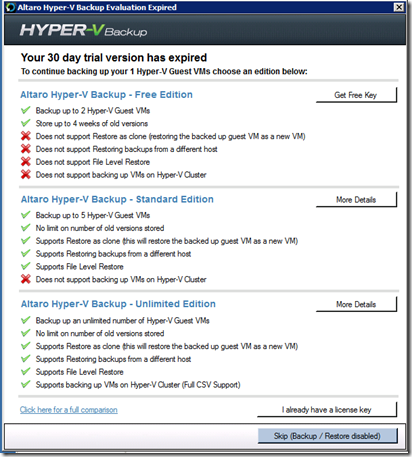 Altaro Hyper-V Backup needs to be installed on the Hyper-V host. 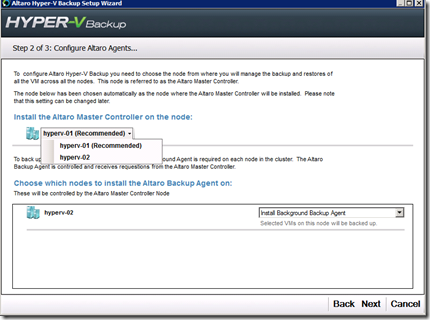 In a Hyper-V Cluster environment, the cluster node were Altaro Hyper-V Backup is installed, is called the Master Controller. On all the other nodes agents are installed. The Master Controller node configures and controls all the Altaro Background Agents on the cluster. On the node you that will become the Master Controller launch the downloaded 14 MB installation file. Within a minute the installation is competed. 1. 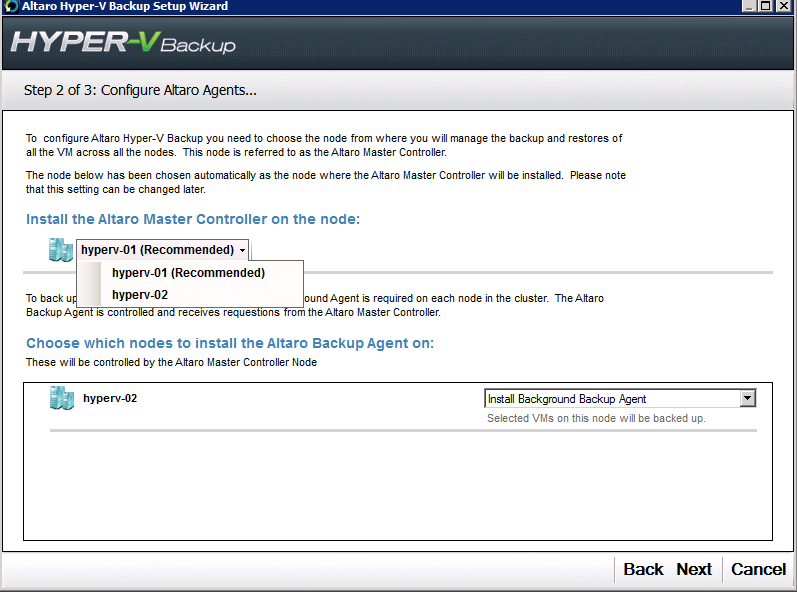 Select the Master Controller Node and install the “background backup agents” to the other cluster node(s). 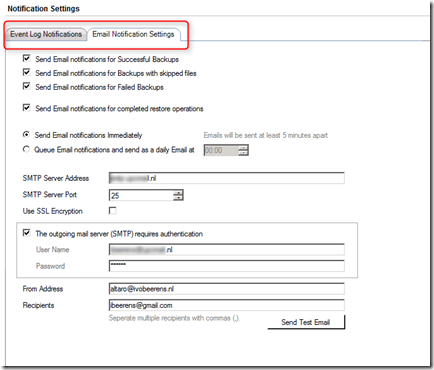 It supports multiple backup drive swapping and It is possible to mirror the backup data to another location by creating a mirror schedule..
Notifications can be set by Event Log and/or Email. 5. 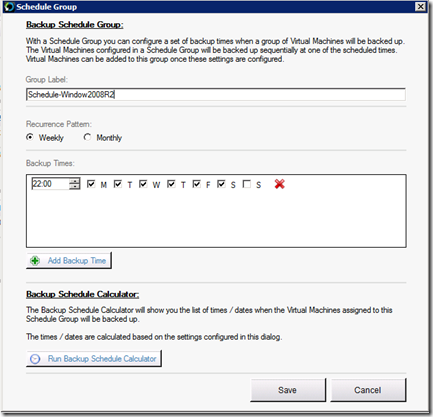 Create a backup schedule and place the VMs in the schedule group. After these 5 steps the backup schedule is ready. Altaro used the ReverseDelta technology. ReverseDelta only save the changes between each version of a changed file, rather than backing up the whole file every time it changes. The latest version of a file is always made available in its entirety and not as a delta file. More information about the ReverseDelta can be found here. 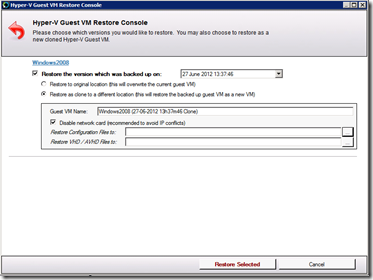 When Altaro initiates a backup from the Hyper-V Host it invokes a VSS on the Hyper-V server (software VSS) and then it invokes a VSS within the Virtual Machines – this last step is done automatically by the MS Hyper-V VSS Writer. 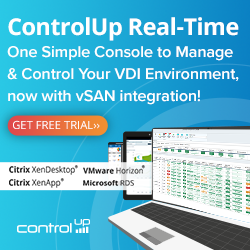 This means that as long as the VSS within the VM succeeds then any VSS applications (for example Microsoft SQL or Exchange) within the VM will commit their data to disk resulting in a proper application-consistent backup. When Altaro makes a backup from a VM on a Cluster Shared Volume (CSV) the the volume is in redirected mode during the whole backup! This is common CSV behavior when using software VSS. To shorten the time the volume is in redirected mode it is possible to use a hardware VSS provider (SAN must support a hardware VSS provider). To enable hardware VSS you must contact Altaro support. There is no option in the GUI interface available to enable hardware VSS. 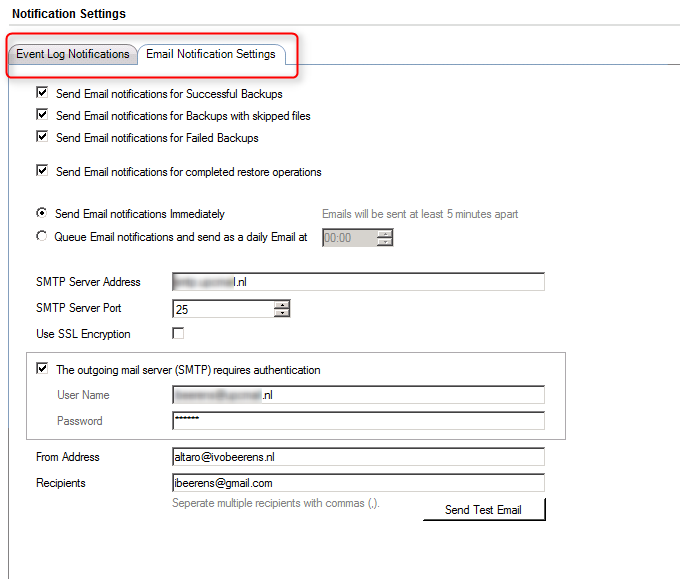 When the backup is finished and Email notification is enable, you get an backup report in your inbox. The report is very limited. I tested the Restore a VM as clone without any problems. Further versions will address some of the cons. For more information click on the Altaro banner on the right side of the blog. 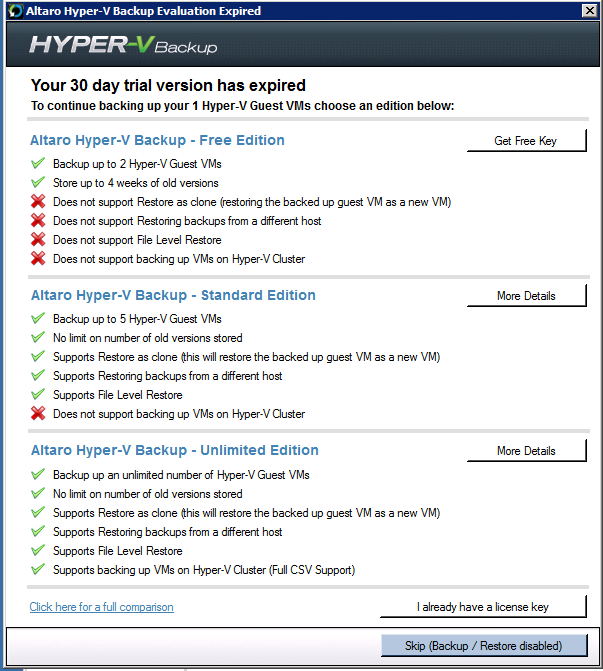 Today Altaro released the beta of Hyper-V Backup version 3.5. Version 3.5 has new features and fixes. 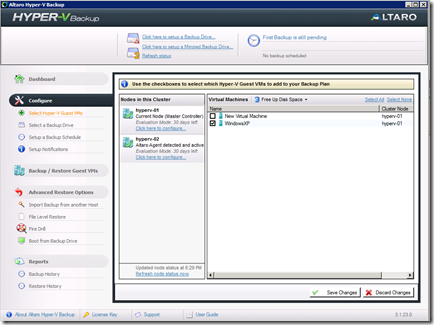 Windows Server 2012 Support, including support for VHDX files. 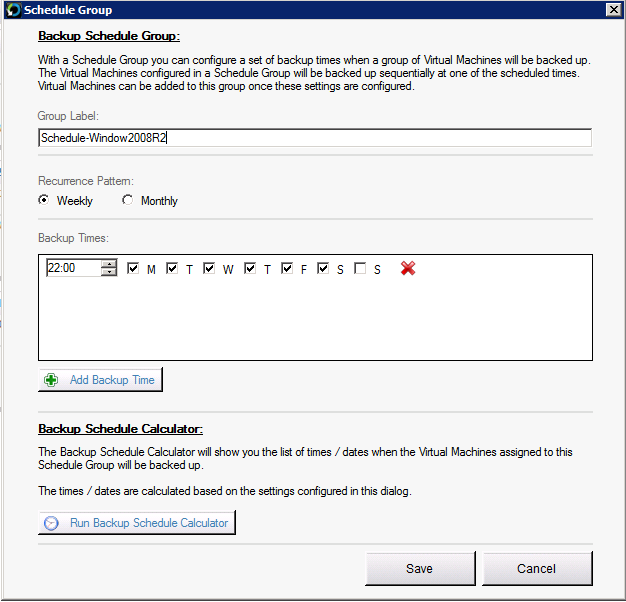 Windows 2012: support for backup and restore of VMs located on network paths. Windows 2012: support for Volume Shadow Copies of SMB3.0 network paths. 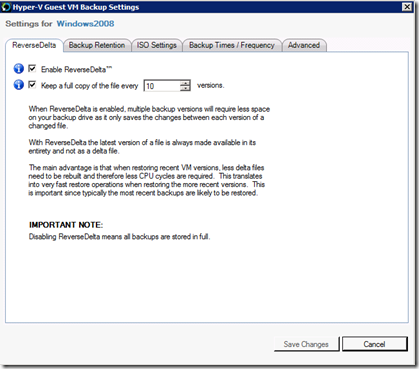 Windows 2012: support for CSV3.0 and scale-out CSV file shares. New and improved Metro-Style User Interface. Link to error reporter from Management Console. Extra verification checks in Reverse Delta algorithm. 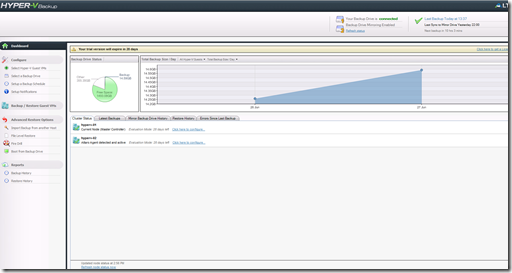 Improved free-space calculation (Backup no longer checks for full size of VM in free space). Many more improvements and bug fixes under the hood. To try the beta go to here.